New Kit Rip-off, Cahill has won it all, Wright, Merson, Drogba, Drinkwater, Mount and Fabregas. It's Wednesday 5th September and here is my latest Chelsea Vlog featuring the latest articles and features that have caught my eye in the last 24-hours. Chelsea launch their new 3rd kit - and it's a throwback to the 90's and a total rip-off with one version costing £90! 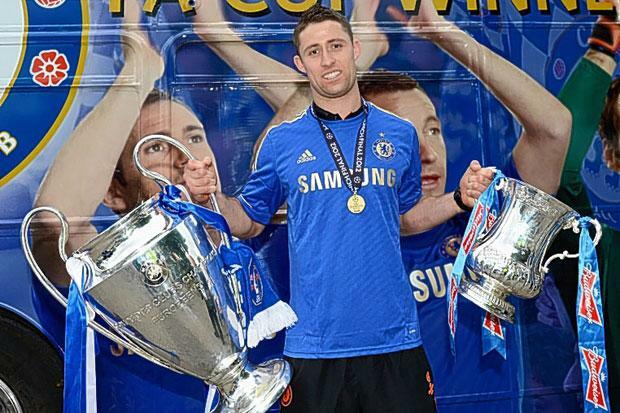 Gary Cahill - He's won it all but faces a real fight this season for his place in the Chelsea team. Ian Wright has his say on Roman Abramovich - you would be surprised at the opinion he has. Paul Merson talks Chelsea under Sarri - As I posted up here yesterday, he has real concerns over our defence. Didier Drogba - Back at Chelsea as a Club Ambassador - Let's hope it leads to more! Danny Drinkwater - Back to Leicester in January - hasn't featured at all yet for Sarri. Thibaut Courtois - His digs at Chelsea are becoming tedious - Good riddance to the idiot! Mason Mount - Fantastic start at Derby with four goals - Talks up Frank Lampard, Jody Morris and his dream to make it at Chelsea. Cesc Fabregas - Back running in training after mysterious knee injury which is good news but can he force his way back into the team? What do you think about the articles, quotes and stories featured in the Video? Post your comments below, I would love to read as many opinions as possible!